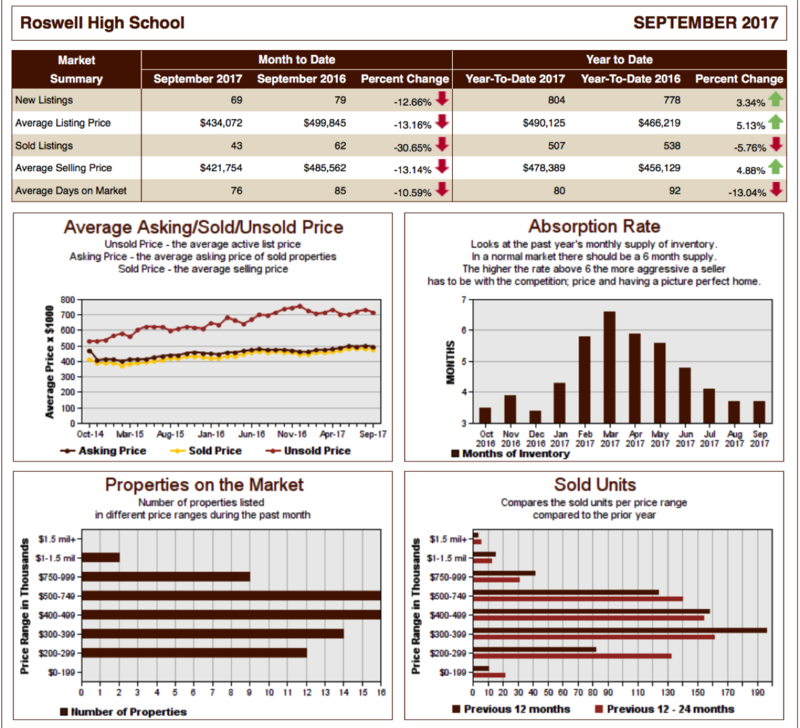 This is the chart for average luxury home in metro Atlanta. The red line is the last 7 days and the green line is the last 90 days rolling average. 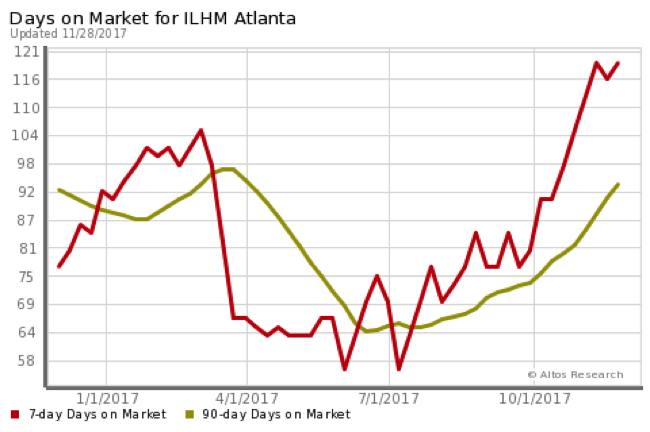 Interpretation: Atlanta luxury homes have decreased for the first part of 2016 and have been rising since November (8th?). This is the chart showing the number of luxury homes available in Atlanta. Interpretation: As inventory rises (i.e. more choices for the Buyer) one can expect to see prices lower and less time on market. For any price range, less than 6 months inventory favors the Seller. 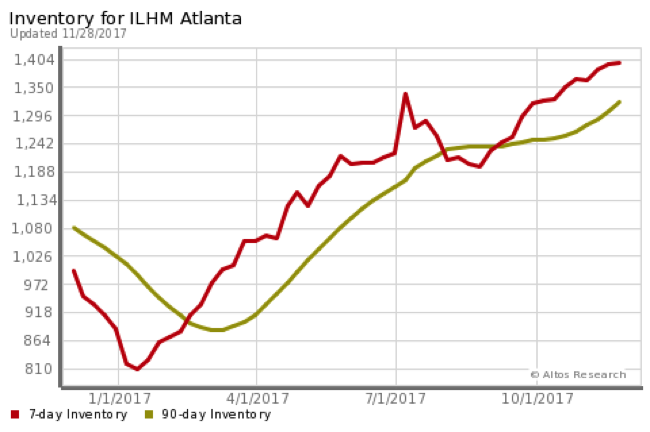 In homes above $1,000,000 in Atlanta, we have inventory supply measured in years. This is the chart showing the average days on market. 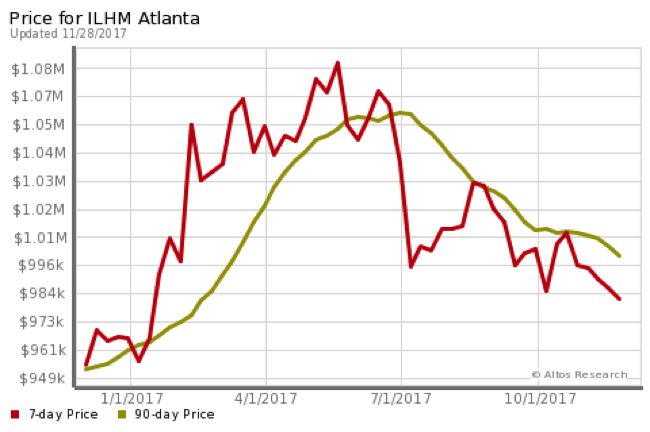 Interpretation: An Atlanta home that is priced correctly will take between 52 and 122 days to sell. 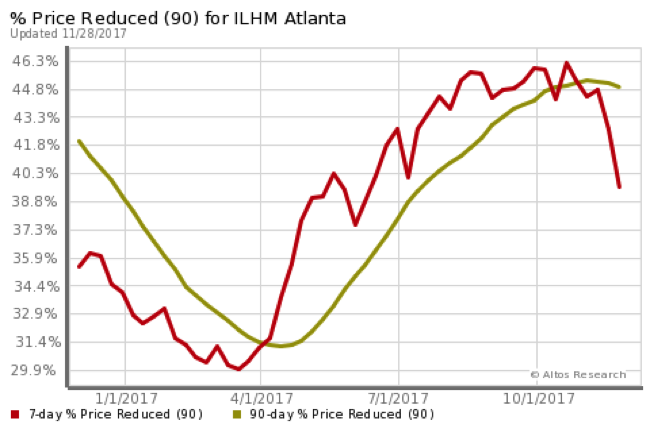 Interpretation: Large percentage of Atlanta luxury home Sellers are over-pricing their property. This index shows if the market is favoring Sellers or Buyers. A value above 30 favors Sellers. The red line is the National MAI and the green line is the Atlanta MAI. Interpretation: Atlanta luxury market heavily favors the luxury Buyer. Frequently purchasing for far less than cost to build. 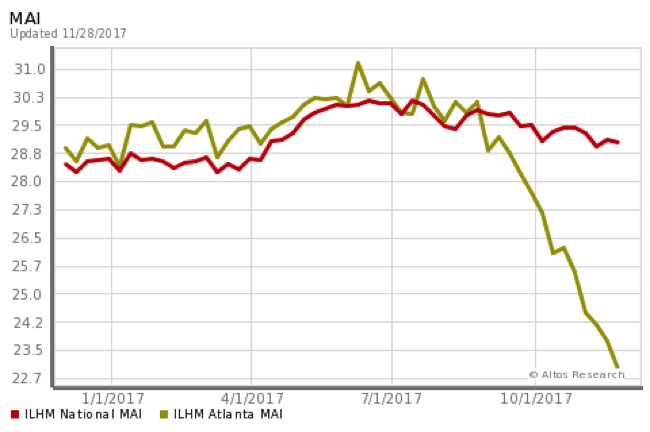 This is the chart for median listing price for a luxury home. 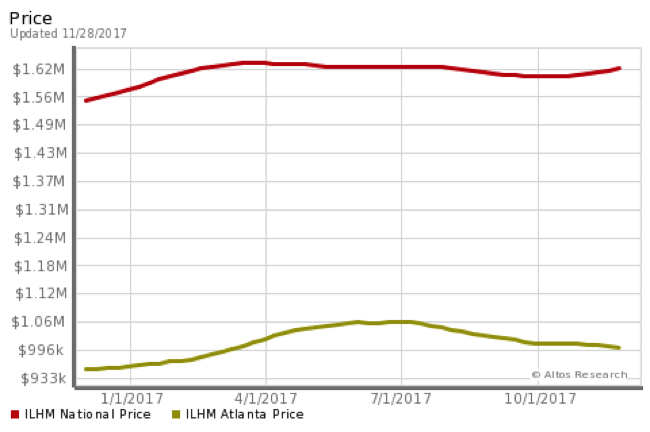 The red line is the national median listing price and the green line is metro Atlanta.